Although the market tends to disappear in favor of crossover, Ford continues the adventure of the great minivan with its third generation of Galaxy. A model which made the choice of fresh developments. It was long doubted its renewal, especially as the large MPV market tends to be reduced over the years. 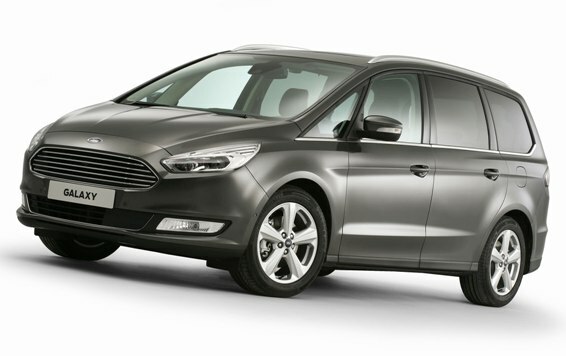 But taking advantage of sharing many components with the S-Max, and the availability of the Edge dug in the American range, Ford is therefore renewing the Galaxy for the European market. If its direct rival space has made the choice of change, Galaxy keeps an unchanged, in terms of the concept as that of style. Therefore noted similar trends to those observed on the S-Max, with the new face, softened edges, but precisely the same general appearance. The dimensions are not disclosed, but the S-Max has limited its extension to 3cm, there is no reason why the Galaxy grows at different rates, so it should be around 4M85. Inside, the dashboard is similar to the S-Max, so classic. On board, it’s mostly up the occupants with front multicontour seats with massage function, and rear individual seats in row folding 2 flatbed electrically and rank 3 folding and electrically hinged also. Ford also cared habitability, storage compartments, including the rank 3 whose accessibility has also been revised. The technologies are taken from the S-Max, with particularly smart speed limiter, the semi-automatic Park Assist parking or even the recognition of road signs. Ford puts of course focus on the diesel engines which will be four in number, with a 2.0L TDCI block versions available in 120, 150 and 180 hp, or even 210 with its twin-turbo variant. But the essence is not forgotten with the 1.5L Ecoboost and 2.0L of 160 and 240 hp.